Mama Mummy Mum: Forget About Preparing Children For School What About Preparing The Parents? Forget About Preparing Children For School What About Preparing The Parents? So yesterday I found out that my youngest daughter will be attending the same school as her sisters. I can't tell you how much of a relief this was. You'd think after going through this process three times previously that I would be well prepared for all the emotions that come along with it, but I'd be inclined to say that I've got worse with each child! I mean forget about preparing your children for school what about preparing all the parents? 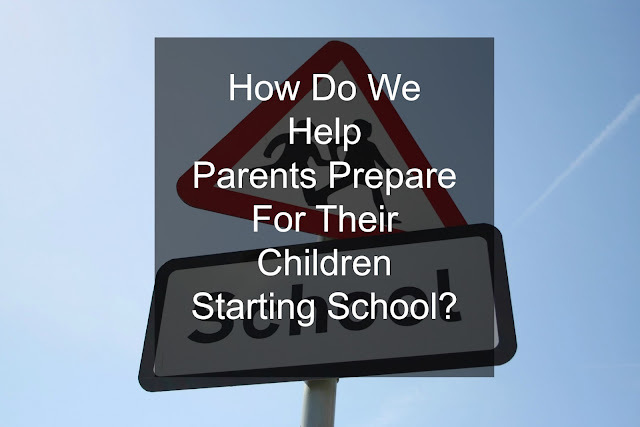 There are so many tips and guides around to help you help your child to make the process of starting school an easier one for them but they don't include any real advice on how to deal with the process as the adult in this situation. I mean I've gone through around three stages of emotions so far and I'm none the wiser on how to handle it all. I started of with panic and worry, fearing the worst that Layla wouldn't get the place that I wanted her to because lets be honest it does happen, twins have been separated, having to go to schools miles apart. I'd already started looking at worst case scenarios, thinking about the possibility of home schooling. The second wave of emotions were ones of relief and excitement. Not only did we get the school place we wanted which meant that my daughter would go the same school as all of her sisters but my godson also got into the same school, partners in crime together again. Really it couldn't get any better. So my next lot of emotions are the ones I'm struggling with and I think they are ones that all parents deal with, I'm now filled with a certain sadness. My baby is growing up and I'm not quite sure what to do with that. Being honest I felt a tinge of anxiety when my elder three started school but I always had another child at home to lessen the blow as such, this time round I won't have another child there to ease that feeling. We see all these parenting books, they tell you all about the baby stages, the toddler stages etc but again the focus is on the children. A gap in the market maybe? I can't be the only one looking for a helping hand in this situation, a touch of guidance on how to stop feeling so overwhelmed about this milestone. I've got a strong feeling that come that day in September when I leave my youngest child to walk through the school gates I will be in need of a strong drink and a shoulder to cry on oh and cake because any situation can be made better with cake right? Such a good point, I still have my youngest at him for another year but I know that's going to fly by and then I will be desperately hoping that he gets into the same school as his siblings. We didn't get our first choice with our eldest and it was heartbreaking. In hindsight it has probably worked out for the best but I do think there have been negative aspects too. I'm dreading the time when Blake has to go to school. I've got awhile yet but I know its going it be so emotional and I'm not going to want him to go as he will seem so grown up. So true. I remember so vividly when my daughter first started school. It was so overwhelming that I could hardly eat. I totally agree with you on this, there should some of guidance to help parents prepare for their kid starting school. I felt a bit lost at first when my daughter started school and joined her brother there. I soon filled my time with work though and now I relish this time during the day by myself! Awww, I always think letting the last one go must be the hardest as it's such a clear end to a chapter in life BUT as we mourn the end of each stage there are more fun ones to come. Daniel is eligible for school next September and we just haven't made our mind up at all re home educating or not. A hard choice!